Welcome to Hoe Talk where we talk about hoes and other gardening tools. Here at Hoe Talk, we like to cultivate our interest in gardening hoes and dig deep into the world of shovels, trowels, and other gardening tools. Today, I'd like to address the whispers. But no more whispers now. No more finger pointing. Thanks to the generous marketing people at Corona Tools I now own and love an oscillating hoe. I can understand now why people shook their heads in amazement because I didn't own an oscillating hoe but had over 50 other types of hoes. 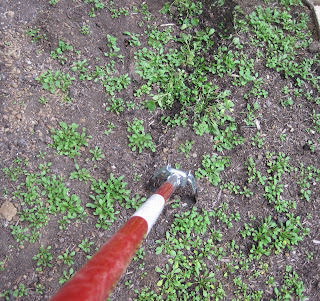 This is a great hoe for clearing out weeds because it does twice the work of traditional hoes. 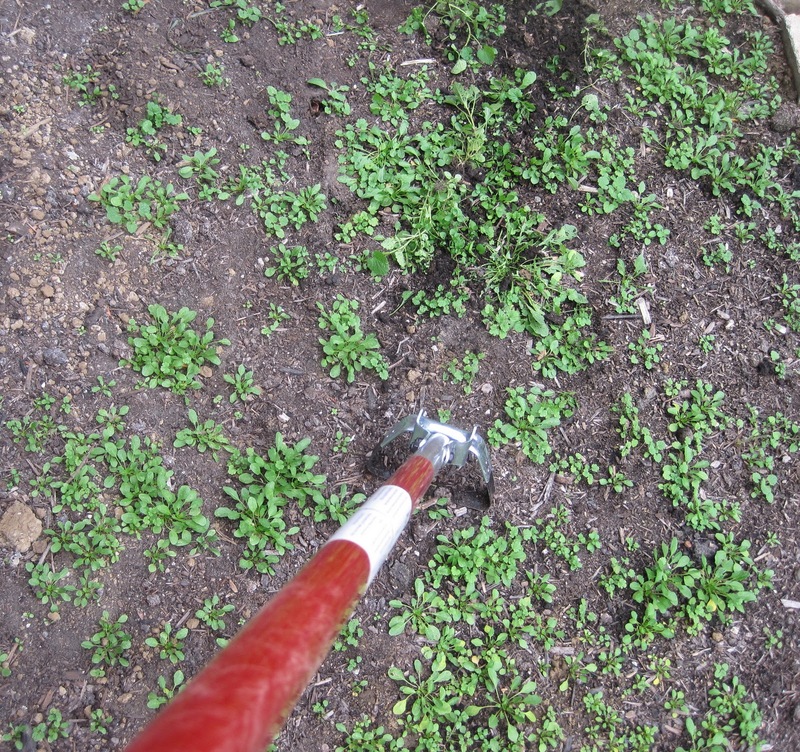 It cuts the weeds as you pull the hoe toward you and it cuts the weeds as you push the hoe away from you, all with minimal soil movement. Gosh, I'm kind of embarrassed now that I didn't get one of these a long time ago. This is really going to make a big difference for me out in the vegetable garden where right now the winter weeds are growing and thinking they are set until spring. Ha ha! Just wait until the rain moves out and the ground dries up just a little bit. Then I'll be out there with my new Corona oscillating hoe cutting off those weeds and sending them off to a winter in the compost bin. Thank you, Corona Tools, for giving me one of the best hoes I've ever used. And that's Hoe Talk where we like to cultivate our interest in gardening hoes and dig deep into the world of shovels, trowels, and other gardening tools. Thank you for digging deep into such an fascinating subject and for cultivating interest in good garden tools! Looks like a fancy version of my Hula Hoe, which I love and is the only hoe I use. That is my favorite hoe. No hoe measures up to that one. Like Jo Ellen, I call this my Hula Hoe. Works great on those teeny weeny weed seedlings. Glad you finally stepped into the 21st century of gardening tools :-) Just kidding. Now I feel bad that we did not tell you about this hoe sooner. What kind of gardening friends are we anyway?! Your weeds don't stand a chance now! You (and so many others above) have such good suggestions. :-) Happy Thanksgiving! My cousin introduced me to this and it is an amazing tool. Anyone who's complained about weeding needs one of these for Christmas. It's only too bad they can't be used for areas with ground cover, but you can't win 'em all! It looks like my hula hoe! It's a great tool. Count me among the shocked and surprised that you didn't own one of these. 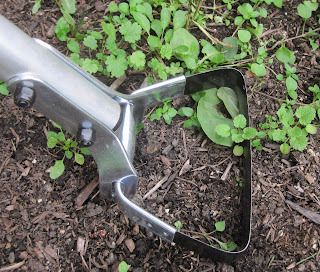 For many gardeners/home growers, this is THE hoe. I love the oscillating hoe!